For fans of mystery thrillers, the debut is a satisfying read that hooks them from the beginning and leaves them no choice but to read it to the very last page. Abound with themes of anger, revenge, identity, and family, the novel is worth the long wait for fans who love a good mystery thriller. Beverly Urban began writing a novel fifty years ago. After typing it up on her manual Royal typewriter, she hid it away in a box. The manuscript lay forgotten until some time in 2016. She looked over it – and decided to submit her manuscript to a publisher. Soon enough, RoseDog Books notified Urban that they would like to publish her manuscript. If the manuscript is not picked up by a publisher, it would be a waste of a good story as the book would make a great movie adaptation. Urban’s debut novel “The Final Turn” was published in 2017 to five-star reviews on Amazon. The book is even positive with regards to sales, achieving figures that are good enough for a self-published book and making it in the top tier of the mystery, thriller and suspense categories. 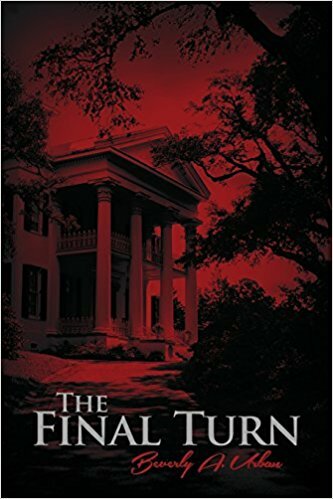 “The Final Turn” was inspired by the author’s fascination with historic Southern mansions. Blessed with a spark of creativity, she decided to write a story that revolves around a majestic historical mansion – and how it impacts the lives of the characters. The author complements the story by adding a rich, vivid description of the setting. The protagonist of “The Final Turn” is Jami Brenner, a secretary in a law firm – and the last remaining descendant of the Brenner dynasty. The time has come that she would inherit Brenner Hall after the death of her father and her uncle. Little does she know that her family – or in general, the Brenner Hall – holds an old secret that has already cost the lives of her uncle and aunt and may cost her own life as well. The novel will soon be displayed in the upcoming 2018 Frankfurt International Book Fair on October 10-14, 2018. Copies are available at RoseDog Books (http://rosedogbookstore.com/the-final-turn/), Amazon (https://www.amazon.com/Final-Turn-Beverly-Urban/dp/1480975044), and Barnes & Noble (https://www.barnesandnoble.com/w/the-final-turn-beverly-a-urban/1126823666). Beverly A. Urban currently lives in Westown Gardens in Westlake, Ohio, with her dog, Buttons. She looks forward to spending the rest of her life enjoying her friends and other wonderful happenings including her favorite hobby: reading, of course, about beautiful and historical Southern mansions.